This intensive 24 week exercise program is to help people effectively recover and rehabilitate following shoulder injury or shoulder surgery. It covers injuries such as rotator cuff tears, shoulder impingement, tendinopathies, SLAP labral injuries acromioclavicular injury, as well as full shoulder reconstruction surgery and dislocations. It also covers problems associated with shoulder injury such as scapula winging and incorrect scapulo-humeral movement dysfunction, helping correct these problems with the right exercises for control and stability, not just strengthening and conditioning. The program covers people just coming out of surgery and still in a sling, who will start at week 1. People who have not had surgery, but who are suffering from a shoulder injury will start further into the program at stage THREE (week 7). As will the other rehab programs there are weekly educational videos with advice on time-frames, exercise instruction, demonstration of patient presentations, what not to do and what TO do. 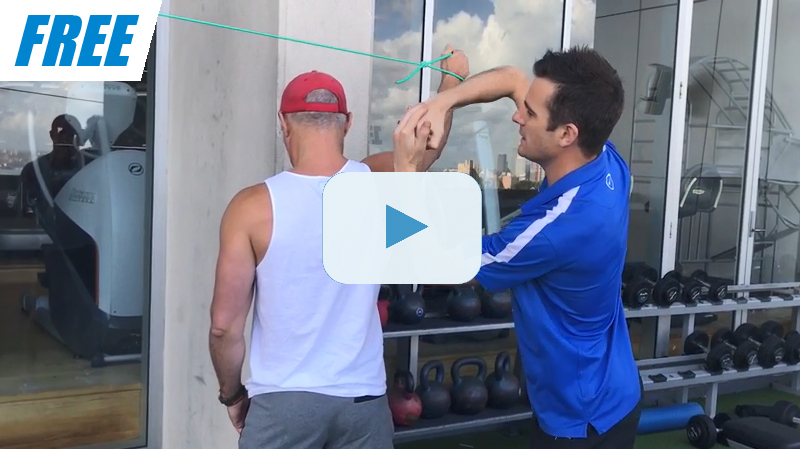 WHY IS SHOULDER REHAB SO IMPORTANT? Shoulder injuries take a long time to get better, and most don't due to poor or minimal strengthening exercises, or simply not spending enough time doing the rehab. Many people do some little exercises from the Physio, or only conventional gym weights and they never get it much better. A structured rehab program ensures that you complete the right exercises and the right amount to improve the strength and movement of the shoulder. Following a set program also keeps you on track, motivated to complete the volume of exercises right through from the low level activation work to lifting above your head, bridging the gap from physio rehab exercises to gym weights and sport. 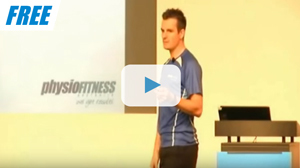 This program helps you achieve that with a series of clinically proven, tried and tested exercises, along with the highest quality expert advice and education. In this 24 week program you will be shown all the exercises and mobility work that is needed, with detailed instructions, videos of the exercises and weekly videos of patients just like you, who are going through the same stage each week. The videos help you keep motivated and on track through your rehabilitation journey, as well as giving you great tips and inspiration during each stage. Have no additional complications to the shoulder injury/surgery such as a displaced fracture or adhesive capsulitis or infection.